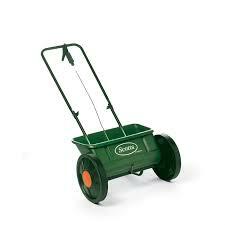 A spreader is the most efficient and effective way to spread fertiliser over your lawn. If you've been thinking about whether or not to buy one, read on! Most people at one time or another have spread fertiliser out over a lawn. Having done so you’ll know that you’ll either spread it out by hand or by using a fertiliser spreader. My experience says that spreading fertiliser by hand is still a common practice but it isn’t ideal. It’s hard to do evenly, with some areas getting more than others, its hard to apply at the right rate, more often than not resulting in too much fertiliser being applied and it means that you’ll have to handle the fertiliser resulting in it touching your skin. For organic fertilisers this means direct contact with bio-organisms which can be a health hazard. For mineral fertilisers it means touching elements like sulphur which can be harmful. Broadcast spreaders spray the fertiliser out in a fan like pattern that is much wider than the actual spreader itself. This means you can quickly cover large areas, but also means that you have less control over where your fertiliser ends up. This can lead to problems if you are using something like a weed and feed product, and need to make sure that you are not getting any of the fertiliser into garden beds. Instead of spraying the fertiliser out in an arc like a broadcast spreader does, a drop spreader drops the product only directly beneath it. This results in a nice, even application of fertiliser that can be placed with super accuracy. While this may sound great, it does also mean that it takes a lot more passes to fertilise the whole lawn. One tip for using drop spreaders is to make sure that you overlap your wheel path on each pass. This makes sure that you do not leave thin lines of lawn that are have not had fertiliser applied. Hand Held broadcast spreaders work like the walk behind version, only on a smaller scale. They hold up to 2kg’s of fertiliser making them light enough for most people to use. 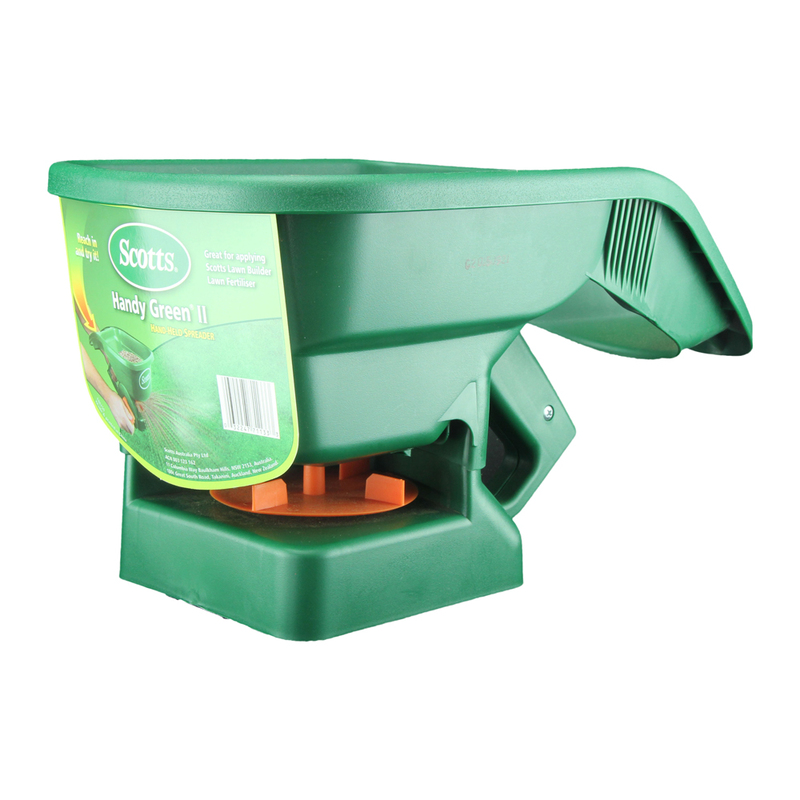 They are great for small lawns and offer a little more precision than the walk behind ones. 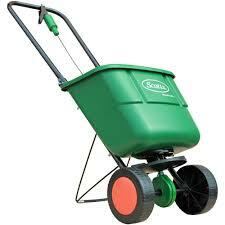 I’d recommend a fertiliser spreader for anyone who regularly fertilises their lawns. It’s a relatively inexpensive way to ensure you get the best results.